It’s been six weeks since I began my experiments with film breaking out the old 35mm cameras in my arsenal and shooting my first roll of film in seven years. If you read about it then, you’ll know that I wasn’t completely sold on pulling the past into the present, not too mention stretching the boundaries of my overextended pocketbook to include the cost of shooting and developing film. But I did feel a stirring deep inside, a curiosity, if you will, an interest about the potential that film could hold for me. After all, with beautiful images like the ones below from our flickr group, I was beginning to wonder if I might create something like that too. Enter three, new-to-me polaroid cameras (thanks Tammy) and it looked like perhaps my journey into film might be taking an unexpected twist. Now, I’ve always wanted my own polaroid camera ever since taking that first shot of my best friend with her shiny new present on Christmas day in 1984. I can distinctly remember the two of us watching in anticipation as the pictures we’d just taken of each other came to light. She gifted me my picture writing her name and the date on the front. Doesn’t that feel special to you? To share in a photographic moment with someone and then minutes later to have the tactile product of that frozen moment in time actually in your hands? Perhaps even back then, I was feeling the awakenings of our current generation’s fixation on Instant Gratification. After all, having it now, really does feel good. Although I still have that shot of my BFF and would love to share it with you now, I’m sure she wouldn’t appreciate my resurrecting her Jimmy Connors haircut. 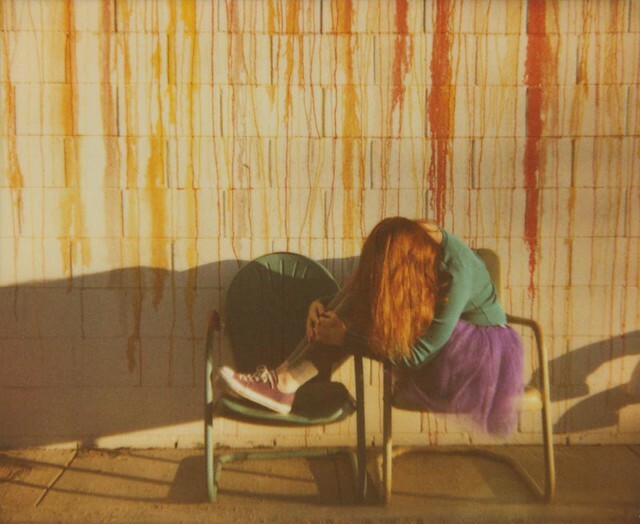 So instead, I’ll share these three gorgeous polaroids with you from our film friday flickr group. Now I’ll be the first to tell you that I know next to nothing about polaroid cameras, Edwin Land, or The Impossible Project. 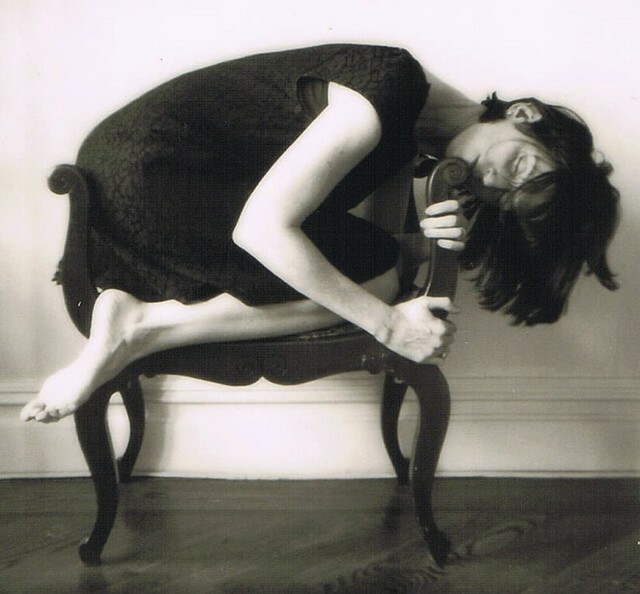 Outside of the growing chatter surrounding Polaroid here on Mortal Muses, the closest I’ve come to The Impossible Project has been tweeting them about another Muse’s story. So when I heard that they were going to be a sponsor at Shutter Sisters Oasis, which I attended last month, I figured I’d have a chance at using one of my new cameras after all. Before leaving, I consulted with Debra as to which of my newly bestowed polaroids I should bring. 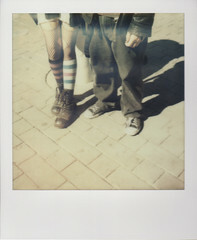 Her suggestion (and a good one at that): the Polaroid OneStep 600, black, sporting a jaunty rainbow stripe (lucky me). Soon after that, I had my chance, 28 years later, to relieve that moment of excitement where chemistry combines in ways that I cannot understand to create a work of art, my work of art, right before my eyes. If that’s not photographic satisfaction, I don’t know what is. My camera was duly tested, thanks Andrea, and duly loaded, thanks Alex, who then modeled for me as I took this picture and promptly fell in love. Wouldn’t you too? 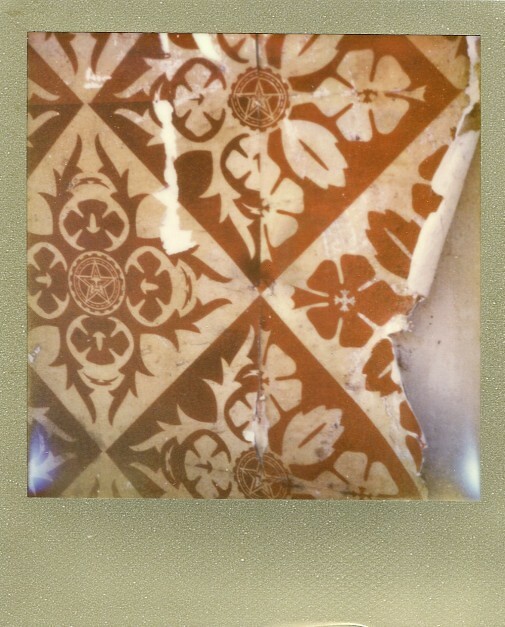 Since Impossible Project was a sponsor, I was able to take several more shots using the PX 680 Color shade film. Three more instant beauties unfolded before me (thanks Christy, Audrey & Vivienne for being my next victims). Pretty special, wouldn’t you say? 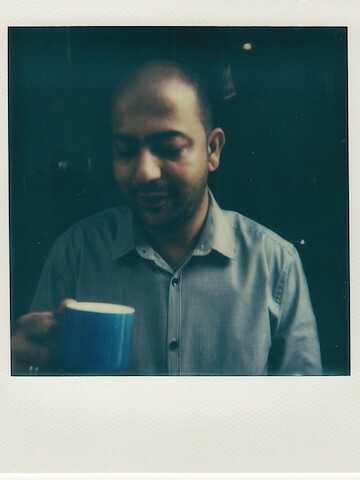 I even won a pack of PX 600 Silver Shade film which I used at a flickr meetup later in the week. 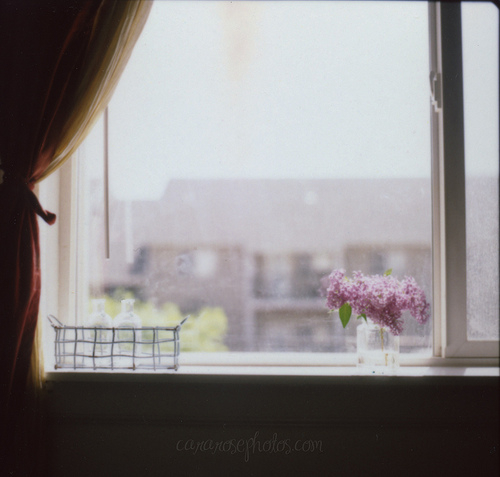 I love the creamy quality of this film, and how any of these photos could have been taken in the past twenty years. How about you? 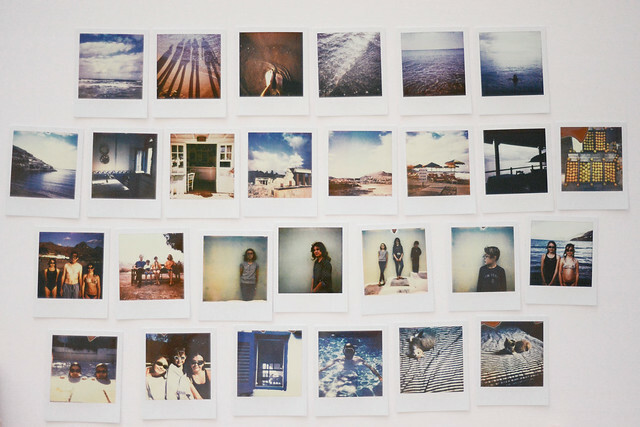 Are you fan of instant film? What do you shoot with? 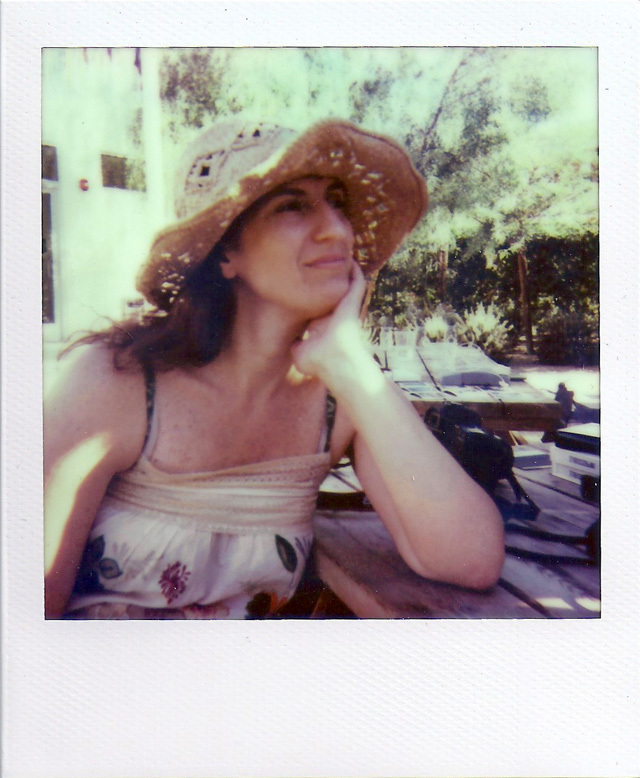 I’d love to hear your thoughts about your journey with instant film. Until next time! Holly, this is such a wonderfully epic post! I love everything about it and your enthusiasm is so infectious! what a great post, fantastic! I am using my pack I won at oasis too, isn’t polaroid great! Loved this shot Debby! So much beauty in there! Perhaps an SX-70 will be in my future. Thanks Debbie! Glad to hear that you’ve been enjoying the journey too! Love that beach shot! i guess its only as instant as we let it be! thanksgiving will be the day 🙂 Oh…maybe i’ll have to buy another pack for the dec 1st meetup too! I’m so excited that you took the instant leap! I completely understand that love of instant gratification. I love it too. I also love the timelessness of the photos it creates and like to play with that feel. I have a few instant cameras, and my favorite is my SX-70, followed close behind by a land camera (103). I would shoot instant film constantly if I could afford the film. You did a beautiful job with your photos, and you have a wonderful selection here. It was so much fun! I’m looking forward to playing around with it in the future and seeing if the other two cameras I have work. For now, I’ll just spread the love out since the film is so expensive. Slowly but surely! I had a feeling you’d find your place with film. I love the unpredictability of instant, and as a child of the 70’s, these cameras – their mechanical noises, and magically appearing image – always make things more festive. I guess owing to the fact that they’d always come out at parties. haha, well working my way towards something different i think. and yep, they would come out at parties and i loved that! Thanks Debbie! Holly, I adore this post. 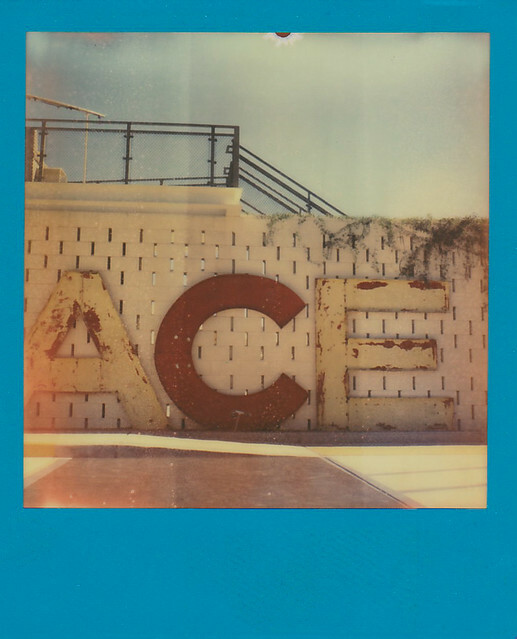 This look into your instant film journey is great fun. These days I’m carrying my SX-70 pretty much everywhere and instead of being stingy with my film stash, I’m loving how an instant image can transform even the mundane into something special to me. oh yay!!! i know you’re going to just keep producing winners! our conversations about your love of polaroid from our RT keep popping up in my head! I have been shooting with my polaroid and it is because of you! Thank you for being an inspiration. Love these! Wonderful!!! I’ll be looking to see what your shooting! And thank you for being such a wonderful, beautiful (inside and out) model! I can’t believe we never broke out the “tipsy” camera! Thanks Linda! I agree with everything you said! Hopefully once I get the hang of the cameras that i own, i’ll be able to consider branching out to more complicated ones. I’m looking forward to it! Thanks Alex! I’m excited to see what’s coming up!!! I’ll be sure to send you the scan! This post is a masterpiece of instant love Holly. Great, great! You wouldn’t believe this! It’s 5:11 am on a Sunday morning and I just read something so wonderful and beautifully thought out and written by you. You get it, you really do and I love the words and all the images you placed with it. 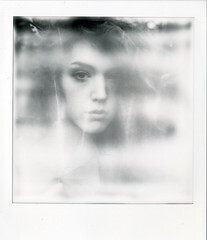 I also loved watching you shoot the PX 600 silver shade and it was exciting to watch the timeless images appear! Thanks Tracie! 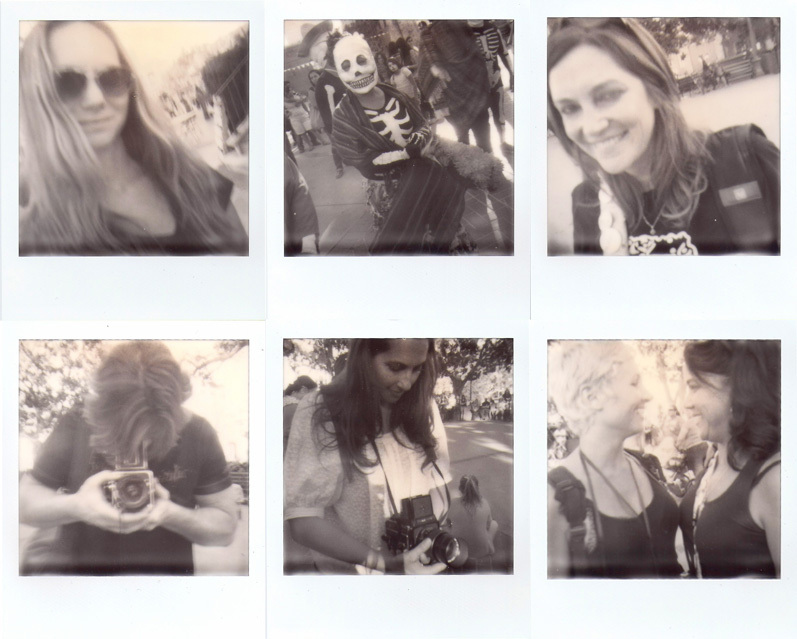 I love how the images turned out from the meetup!